The Sandwich HS & STEM Academy Department of Athletics has announced the appointment of Jillian DeCuffa to the position of athletic trainer. Jillian, a native of Montrose, NY, holds a bachelors degree from Elmira College and a masters degree in athletic training from Seton Hall University. 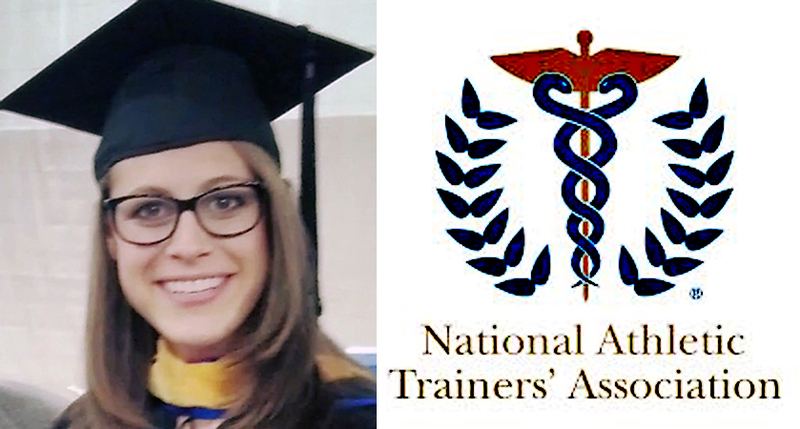 A board certified athletic trainer and member of the National Athletic Trainers’ Association (NATA), Jillian has served as an athletic trainer in a number of professional settings including Indian Hills HS (N.J.), Steven’s Institute of Technology (N.J.), Seton Hall University (N.J.), and West Morris Central HS (N.J.). She has also provided athletic training coverage and treatment at several special events and athletic contests including Princeton University’s Liberty Hockey Tournament, Princeton’s Ivy League Rugby Tournament, the New York City Marathon, and for the Elmira College department of athletics. Jillian officially assumes her duties at Sandwich HS & STEM Academy on Monday, August 17th.